It's not often a game grabs my attention these days and is often something rather special. 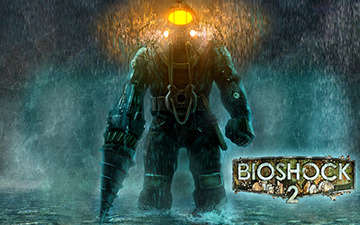 Bioshock 2 is out now and I feel compelled to give it some exposure. So please head to the official Bioshock 2 website now. It's lookring rather incredible! Screenies look fantastic. 2K is a good studio. I'm going to read up on this one. I'm curious to know if its cool to start with this one or if playing the first one is required to really get the story.